Rebrand your Website within Minutes! 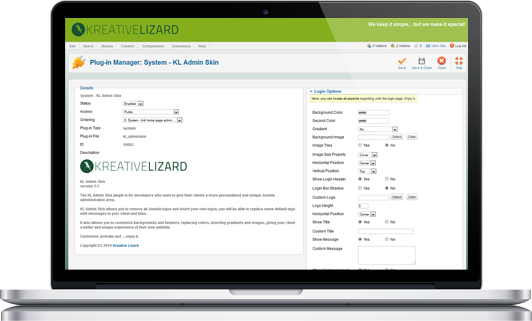 Highly customizable plugin that provides a rich toolset to customize your Joomla! administration look & feel. 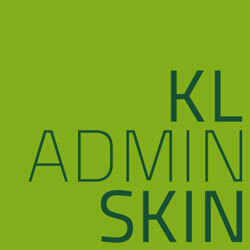 The KL Admin Skin plugin is for those who want to give their websites a more personalised and unique administration area. With the help of KL Admin Skin and without any need of custom coding, in a couple of minutes, you will have a styled & unique Joomla! administration area.